Here we go with another Halloween online slot, as the witching hour draws ever closer. 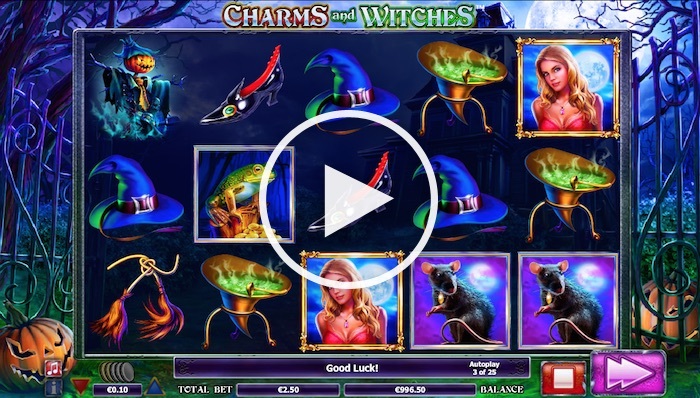 We’re in Side City Studios’ reliable hands here, and their latest effort is the Charms and Witches slot. So… is there anything to be frightened about? 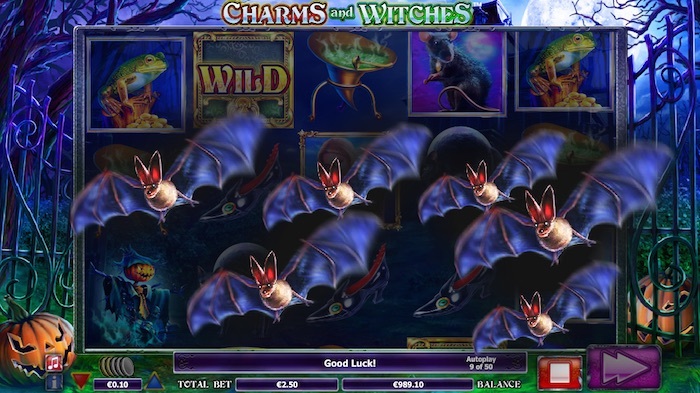 The Charms and Witches slot is a 5 x 3 online slot from Side City Studios, and it makes excellent use of the Halloween theme. We love those any time of the year, don’t you? The game screen sets the tone, depicting a dark and foreboding night with a wrought-iron gate either side of the reels. Watch for the sinister-looking pumpkins as well, which look as though they’re about to come alive and… possibly roll at you? Whatever happens, you’re in the world of witches and spells here, hence the title, and the software developer has clearly had some fun creating this game. Will you be brave enough to play it though? The graphics are brilliant. The amount of detail, even on the gates and other elements around the reels themselves, is quite impressive. Furthermore, when the reels stop, you end up getting a glimpse of the rest of the scene behind the symbols, beyond the gates. The whole screen seems to glow, and any winning combination will clearly show as it occurs. Charms and Witches also reveals big wins on screen with a shower of coins coming out at you for a nice touch. The payout table revealed by clicking the small ‘i’ just below the pumpkin in the bottom-left corner. It reveals the wild as an ornate version of that word, making it easy to see as you play Side City Studios’ Charms and Witches slot. Among the other symbols are a rather attractive witch, a rat, a witches hat complete with bubbling potion inside, and a black cat. All the usual suspects, you might say. Some of these symbols pay out for just two on a line, whereas others require three to show up. Right, let’s get to the real meat of this game. We’ve mentioned the wild already, but there is a scatter as well. This appears in the form of a bat, and two or more will win a credit prize. 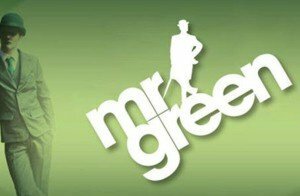 However, if you can locate three appearing anywhere throughout the reels, you will find yourself on the receiving end of 10 free spins. These come with doubled prizes, which is a nice touch and something to look forward to. You may see bats appearing in another sense too. One of the other features in the game is the Spooky Bats Bonus. Triggered at any time, and if you get this during your game you’ll see a swarm of bats flying across your game screen. Nothing to be worried about, though, because when this happens, they will turn some of the symbols there into random wilds. Needless to say, this increases your odds of winning one or more prizes from that spin. Additionally, when you get to the free spins feature, the Spooky Bats Bonus can trigger more often than it would in the base game. So not only do you get double-value prizes during those spins, but you also have a chance to get more wilds on your screen as well. That’s why the prizes can really rack up during this round. It’s also worth trying to line up a few potions on the reels. The green potion appears with a Click Me message over the top of it, and if you get three on the second, third and fourth reels, you can pick one to see what’s hidden behind it. It could be an instant prize, a prize with ‘pick again’ written underneath (in which case you get another pick), or a ‘win all’ message. So instead of just winning one prize, you could potentially win three in one fell swoop. Nice! We got two the first time we triggered this feature. This is strictly a penny slot, as you can start on 1p per line over all the lines, every one of which has to be played. Additionally, you can increase your total line bet to £2, which makes for a £50 top bet. The highest prize is 3,000 coins for five wilds on a line. However, you could reasonably win more than that during the free spins round if you were really lucky. Finally, the return-to-player is calculated to be 95.533%. That’s quite a respectable return if you’re playing for a while. The time for real money Halloween slots is here, although this game has enough going for it that you might want to continue playing long after Guy Fawkes has burned on his ritual bonfire. 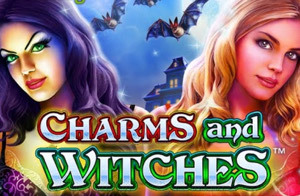 The Charms and Witches slot certainly isn’t scary in terms of the prizes you could win, and it has plenty of nice features going for it as well.